Broadway.com | Photo 9 of 12 | Photos! There's a Million Things the Hamilton Stars Haven't Done; But They Have Met Oprah! Photos! There's a Million Things the Hamilton Stars Haven't Done; But They Have Met Oprah! 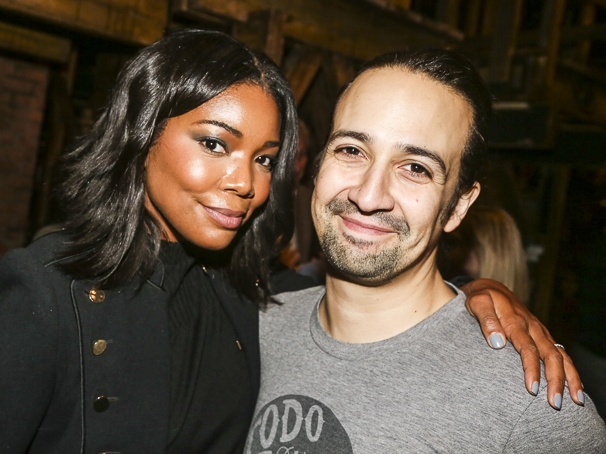 Gabrielle Union, who appeared in the movie Bring It On, and Lin-Manuel Miranda, one of the creators behind the Broadway version of Bring It On. Celebs continue to show their deep appreciation for the 10-dollar Founding Father.